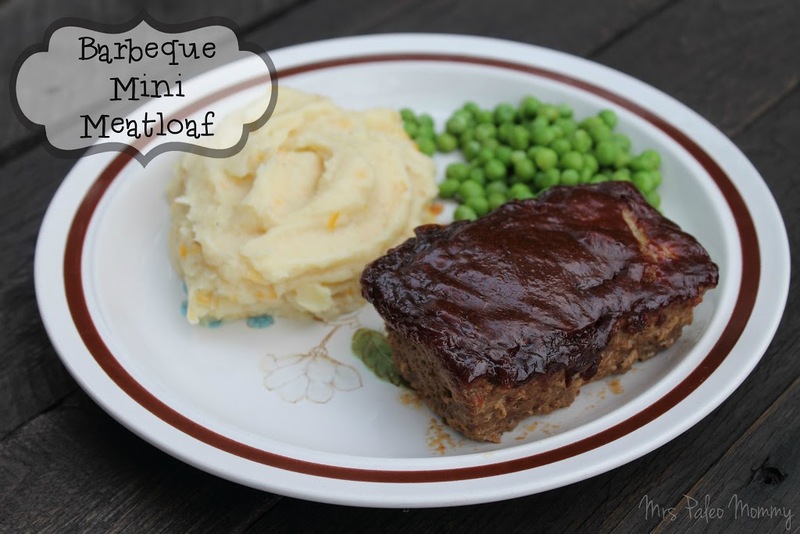 This is a paleo re-make of my Grandmother’s famous Barbeque Meatloaf recipe. Suuuuriously, the BEST meatloaf ever. The name comes from the sauce, because obviously….it tastes like BBQ. The kind of sweet, tangy BBQ that makes your mouth water for more. My own Paleo twist on the recipe replaces SAD ingredients like crackers and ketchup. You know, those things our mouth likes but our tummy doesn’t. In my almost 5 years of parenting, I have learned that every food is better in the form of a ball, or on a stick. Fish? Put it on a stick. Broccoli? Make it into a ball. I just solved half your toddler mealtime battles right there. Your’e welcome. 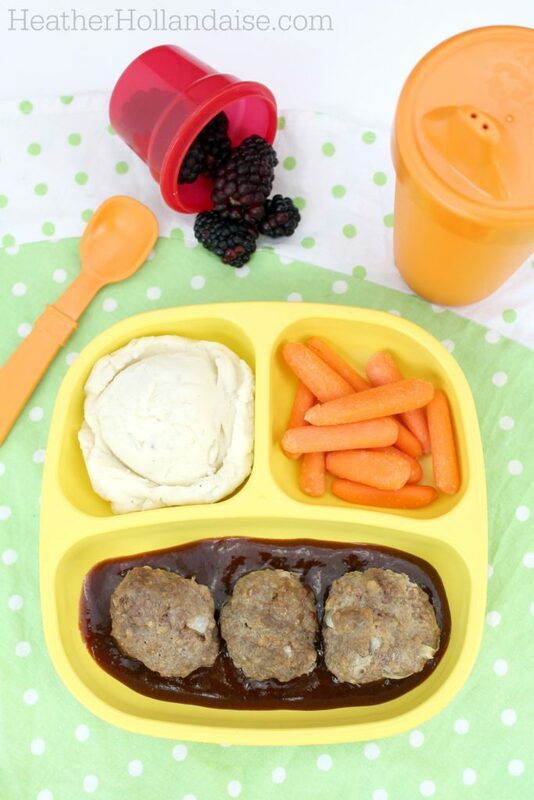 You wouldn’t expect it, but this meatloaf happens to be one of my daughter’s top 5 meals. Like, up there with mac n cheese, strawberries, and shrimp. For years i had been making it into giant meatballs. Because I just don’t like doing dishes. You just make an individual meatball for each person, roll it up and stick it on some foil, then bake. It has always been a family favorite. But sometime over this past year, I discovered the trick of the stick. EVERYTHING is more fun on a kebab. 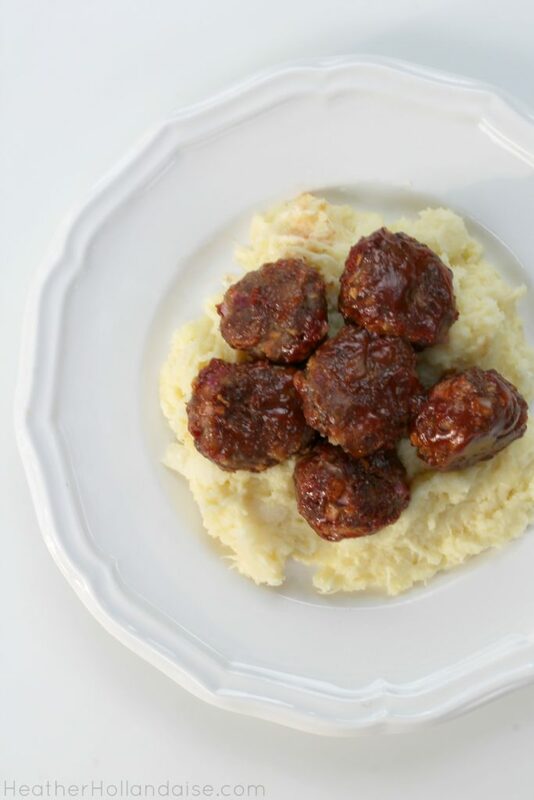 Even the already awesome meatballs. 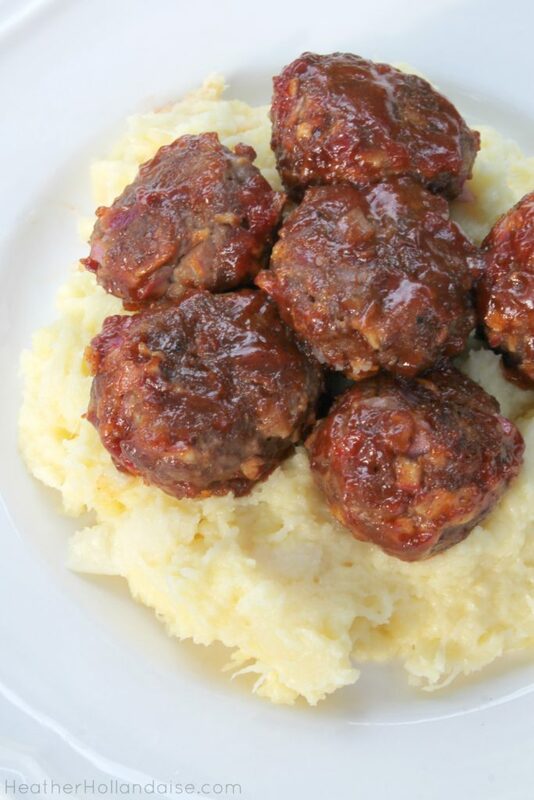 So, I decided to make smaller meatballs, which turned out to be even better for me because they take less time to cook! I can cook them without the sauce, and let them dip it themselves, which they love. Or I can cook them with the sauce and stick em on a skewer. It’s a win-win. Combine first 9 ingredients in a large mixing bowl. scoop heaping tablespoons and form into balls, arrange on a lined baking sheet. Bake 10 minutes, flip and brush with remaining sauce. Trim ends from parsnips, cut in half. Drain, and transfer to food processor. Filed Under: entree., food, side dishes. Please clarify the amount of pork rinds. Is it one cup before crushing or after crushing? I am so sorry for the delayed response, Jacqueline. It is one cup measured after crushing. Thanks! The comma after one cup changes the meaning. My husband argued that one cup before crushing wouldn’t be very much!